My disclaimer: I am not normally vocal about my political views. Politics are best left for the debate table and not for work or other sensitive environments. But, my feelings and observations regarding the 2016 Presidential election are so strong, this blog post is a fair expression and my right of Freedom of Speech. The results of the 2016 Presidential election were none other than shocking. For so long, the media hyped Trump as unfit for the office of President and fed us poll after poll of Hilary Rodham Clinton’s (HRC) lead. In the late hours of November 8th, it was clear that Donald Trump was to be our 45th President. As floored, shocked, saddened, and scared as my reaction was, reviewing the results over the past few days have begun to change my opinion. What worries me most about the events of the last few days is how disrespectful people have been. I received a number of harsh responses to my tweets on Twitter regarding my shock and disdain for the “The Don.” These people were quick to judge me as a wrong for my point of view in a very disrespectful manner. While I knew the conversation wasn’t going to civil, nor productive, I simply asked them to respectfully disagree and show some respect for a fellow human and American. Once we lose our respect for each other, we lose America. Politicians may have lost respect for each other, but citizens are better than them and we can lead be example. Always be respectful. Was the media biased against Trump and trying to sway the public toward HRC? America is bitter and divided, but we must find a way to respect each other. Protests and riots did follow the election of Obama eight years ago, calling out protests against Trump as unfair is unfair in itself. While I will never go out of my way to support Donald Trump, I do respect the Office of the President of the United States (POTUS). I think we do owe him a chance to lead this country and begin a process of unification. I am scared to death of what could happen if Trump is really tied to Putin’s Russia. On the other hand, Trumps presence as POTUS could be the shake up this country needs to rebuild its middle class and set America back on a course of innovation, prosperity, and best practice. If he does not lead with compassion for all Americans, continues to berate fellow citizens and world leaders, and shows disrespect to the office of POTUS, I will be one of the first to sign a petition to start impeachment proceedings. Let keep an open mind in the interim. Sales reps, Mangers, VPs, and CROs must all have agreement on the KPI definition, targets, and thresholds. If one level of the KPI hierarchy is not on the same page as the others, there is very value in using the Scorecard to represent an ideal. Targets and thresholds must be reasonable. When rolling out KPIs, we often realize that actual performance is far from the corporate ideal. For instance, a Sales Cycle of 45 days is thought to be ideal, but the rep actual is north of 60 days. Don’t hold this against them, consider rolling out a target of 55 and stepping the target down to 45 days within three quarters of launch. Be kind to the reps and allow them to catch up. Scorecards must be part of a larger sales communication strategy. Rolling out a scorecard alone will have an impact on the organization, but the most impressive will happen if scorecards are a part of the larger communication strategy. For instance, a weekly email can call out wins by reps, it should call out performance, and it needs to call out what needs to be done to hit the goal. Scorecards are just one piece of the story in sales. Scorecards need to be updated as the business evolves. Scorecards can never be truly static, recurring reports. Part of the role of your analytical team is maintain reports as the business changes and evolves. Scorecards are no different. From a subtle change of keeping thresholds and targets up to date, to swapping out KPIs for new ones, scorecards are a living animal and requires food to stay alive. Scorecards are a coaching opportunity, not a punishment tool. While HR and managers will look at a scorecard and see a rep with all red for their KPIs, this doesn’t mean the rep needs to immediately be put on a performance improvement plan or, worse yet, fired. Scorecards are coaching tool and enable the manager to work with the sales rep and ask questions like “why do you think your sales cycle is double the average?” Work with the rep, train the rep, and allow the rep the chance to go for green. As your team rolls out scorecards across the sales organization, keep these best practices in mind. Be kind to your reps, get agreement on definition, use scorecards as part of a larger strategy, keep them updated, and use them as a coaching tool. For the past few years, I have been not only training for triathlon, but also talking to fellow triathletes about triathlon performance. The concept of triathlon intelligence is alive and well in the minds of anyone looking to improve their triathlon finish times. Not finding much excitement with the training and workout logs on the market, I created TrainingMetrix (out of business – Oct-2015)to explore the intersection between data and triathlon, as well as data and fitness in general. From usability and access to data to creating KPIs for workouts and nutrition, TrainingMetrix took an open exploration of this often overlooked intersection. Our latest template, based on feedback from our users, is a modification of our free Triathlon Foundation Template and adds the ability to view both workouts and training plan in a calendar view. Now, you can see your workouts compared against your plan! This is in addition to the powerful performance dashboard already a part of the free template. The new Calendar View Template also allows you to build your own training plan. I am excited to show off this latest template. We are combining a number of KPIs for triathletes into an easy to use template which resides locally on your computer, so your data is private and protected. 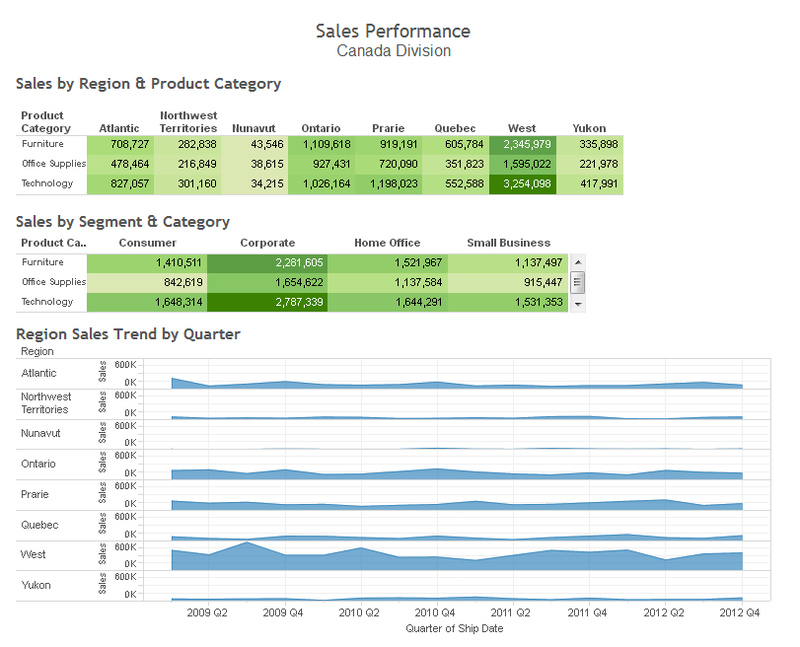 Being based in Excel, the template provides a foundation for you to customize and create your own charts and data views. The power of workout progress and trends come alive. The ability to create and modify your training plan is another powerful tool. Lastly, the comparison of training plan to actual workouts is the intelligence the triathlete needs to stay on track, plan ahead and adjust as necessary. For more information, please visit the Calendar View Template website. What’s next for TrainingMetrix and I? A lot, stay tuned, we are just getting started with understanding this intersection, data and triathlon. Update 10/15 – TrainingMetrix was shut down in October 2015 due to increasing costs and lack of an effective business model. Creating a personal intelligence platform for self tracking has never been easier. While technology continues to push us toward the “cloud” and SaaS as a strategy of revenue generation, we cannot overlook the tried and true platforms available to keep data on your computer and away from prying eyes of Analysts. As a data visualization and KPI development guru, I love finding those interesting trends in my own life that drive smarter, better habits. If you are like me, you don’t feel comfortable sharing your dirty underwear with Mark Zuckerberg and you really wonder what Google is doing with all of that data they keep acquiring. By maintaining a self database on my desktop computer which I can add to and tweak at a whim, I am able to give myself peace of mind and control over MY data. Curious, about what KPI’s I track? Stay tuned, that is a topic of another post. A stunningly powerful tool to use for even the novice user. Create your own tables, link them how you want and design your own graphs and dashboards at your own pace and complexity. Available for both Windows and Mac. A Mac only platform designed to compete directly Microsoft Excel which offers much the same functionality, but lacks some advanced capability compared with Excel. The simplicity and robust visual que are 2nd to none, but as the data set grows, you may be wishing you chose Excel in the beginning. I have been a fan of Qlikview for years. I love the ability to create charts and dashboards from Excel spreadsheets and the gnarly level of interactivity that it provides. The learning curve isn’t as steep as one might think and well worth a few minutes reading their documentation. The limitation here is the limited number of shared files you can open. Windows only. If you need something in between Excel and MySQL to store data, Access is a great option and can interface with Excel graphs and dashboards. With a mild learning curve, the ability to store any kind of data, and the convenience of a query builder UI, Access makes for a very robust solution. But, it lacks more advanced visualization, so be prepared to connect Excel to Access. Windows only and available with Office Professional. As you can see, creating a Personal Intelligence platform off the cloud is possible. You can take full control of your data and keep it private at the same time. As data becomes more and more of a commodity and SaaS business models continue to nickel and dime everything, home based data management will be more and more appealing. Excel is the perfect anti-cloud. I run a startup called TrainingMetrix, a company dedicated to bringing accessible analytics to fitness users around the world. With a beta release of our first online product for triathletes, we needed to start a marketing campaign or two to draw in traffic beyond the inner circle of developers and “friend” based beta testers. We aren’t fans of Facebook, so using a Facebook Ad campaign was not an option. Google Adwords was a suggestion from a friend of mine. As it turns out, Adwords is a great platform to get started on. You can set a budget, big or small, you can run one or many campaigns for as long as you want and the text “adwords” means you don’t have to have a graphic artist and fancy banner ads to attract customers. For us, the control, flexibility, and simplistic nature was why we chose Adwords for our first marketing platform. We setup four different campaigns, each with two separate Ads and sat back. Before too long, we were getting plenty of traffic to the site. We let the campaigns run for one week and then ran a report. The results were fascinating to us and exactly what we were looking for. Our first goal was met. As for our second goal, the cost of Adwords was within our budget, but the overall cost per acquisition (CPA) was quite high, higher than we expected. If we had Lifetime Value data to compare against, we could make a smart decision as to whether or not to continue on. Since we are in the beta phase and not collecting revenue, the overall costs of the campaigns were acceptable, on budget and appropriate for the knowledge that we gained. If you have a startup, please consider using Adwords as a jumping off platform for marketing. Leverage the simplicity, the control and the knowledge that you can get from it.